In 1753 Turnpike Commissioners were appointed for "repairing and widening the roads" of Yeovil. They ordered that "three capital gates be erected" at Hendford Bridge (by today's Railway Tavern), Goar Knap (roughly near the junction of St Michael's Avenue and Sherborne Road) and "the Head of Kingston." Collectors at each of these gates received a salary of six shillings per week or "eight shillings until the toll houses are completed". There was also a "stop gate near the entrance leading from Pen Style to Newton" with others at Watercombe Lane, Combe Street Lane, Goldcroft and Dorchester Road. The Combe Street Lane gate, literally a gate across the road, was sited at the junction of Combe Street Lane and Mudford Road. A toll house was built around 1840 in a field called Hutt Field on the 1842 Tithe Map. Hutt Field was a roughly triangular field on the corner of Combe Street Lane and Mudford Road which bounded the field on its northern and eastern sides. On the 1842 Tithe Map the words 'HUTT GATE' are written across the Mudford Road - Combe Street Lane / Stone Lane crossroads, being one of the town's early toll gates. The hut was shown in the field called Hutt Field (Parcel 1089) and was clearly the toll keeper's 'hut' or house. A conveyance of 1867 between the Yeovil Turnpike and George James William Prowse was signed for the site of the Tollhouse at Coombe Street Lane, Yeovil for £30 situated at the entrance to Coombe Street Lane out of the Turnpike Road leading from Yeovil to Mudford and abuts on land belonging to GJW Prowse of Frampton Cotterell, Gloucs. Signed by the Trustees – George Harbin, George Bullock, Robert Chaffey, WH Helyar and William Neal. 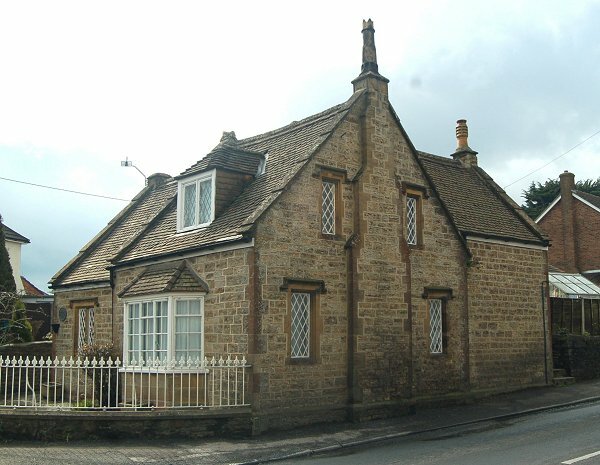 The tollhouse was later demolished and rebuilt in its present position on the corner of Mudford Road and St Michael's Avenue. It is now called Turnpike Cottage. 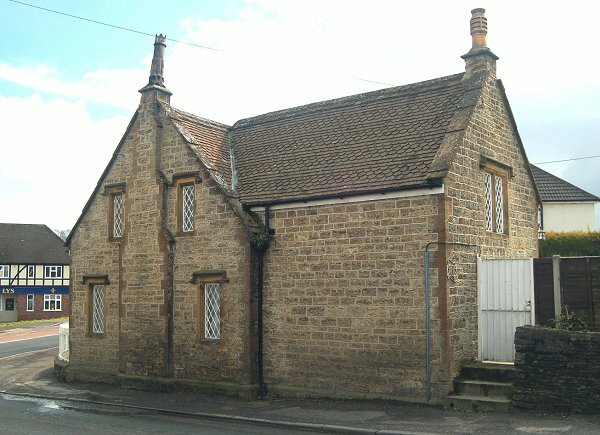 Turnpike Lodge, circa 1850 (sic). 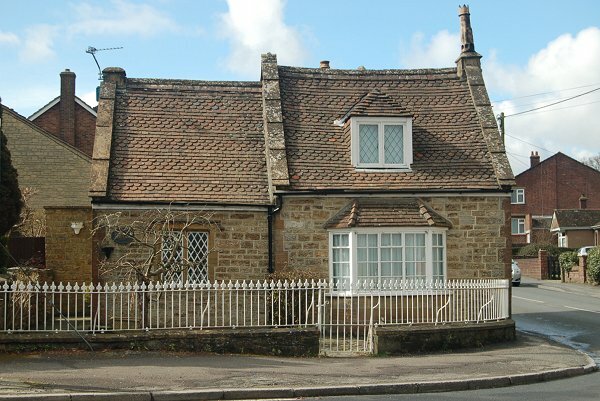 Local stone cut, squared and coursed, Ham stone dressings; plain clay tiled roof with fish-scale bands, between coped gables. Asymmetric plan, Tudor-Gothic style. One storey with attic and two storeys, mullioned windows with labels and cast iron lattice casements, Two bays treated separately left-hand lower; C20 bay window to ground floor replacing former entrance and bay window. Entrance now to northeast. To Mudford Road a 2-storey return wing and a stepped chimney. Combe Street Lane Turnpike House, now called Turnpike Cottage. The elevation to St Michael's Avenue. Photographed in 2013. Combe Street Lane Turnpike House, the corner elevation to St Michael's Avenue at left and Mudford Road at right. Photographed in 2013. ...and seen from Mudford Road in 2013.